Mr. Navaro is a licensed attorney in Denver, Colorado with Navaro & Associates, specializing in real estate law. 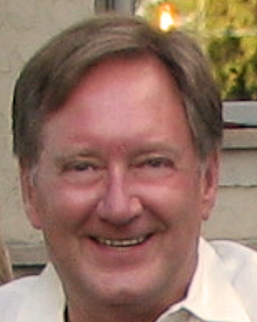 He has also been a real estate broker since 1977, and owner of Hallmark Properties since 1981. He founded Alegra Financial in 1999, a national mortgage loan holding and servicing company, doing business in over 30 states. Besides having owned over 200 properties in the US, he also currently owns property in Paris and Tuscany. Mr. Navaro is a true afficianado of all things French, and has visited Paris on more than a dozen occasions since 2000. In 2006, he decided to focus on a passion that had been simmering inside him for many years, the development of fractional ownership of high quality apartments throughout Europe, primarily Paris. He is married to his beautiful wife and friend, Suzanne and they have 3 children and 21 grandchildren and step-grandchildren. Rich, as he likes to be called, hails from Bournemouth, England, but currently splits his time between London, Paris and the Lyon region. Easygoing, with a quick smile, Rich brings a decade of property renovation skills to our team, including carpentry, plumbing, and general trade skills. He also is the primary liason for our owners, insuring that each apartment is fully cleaned and prepared for their arrival, and greeting them at the door to familiarize them with the apartment and the neighborhood.